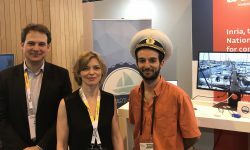 Elsa, Keoma and Thomas presenting SmartMarina at Vivatech! 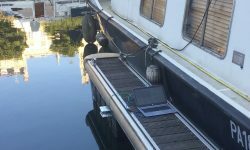 New sensor being tested in marina environment. A new Doppler radar movement sensor is being tested in a marina similar to Cap d’ Agde. The new sensor, mounted below the catwalk, can detect even the slightest movement of the boat with respect to the sensor.